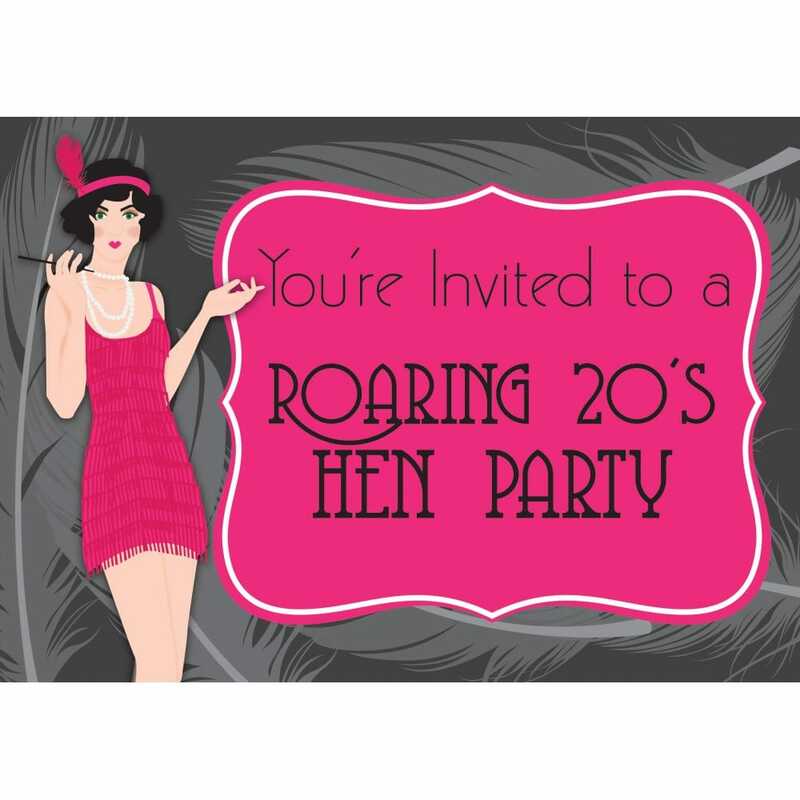 If you're thinking of throwing a 1920's flapper themed Hen Party, then this invitation is perfect. Coloured in pink and grey for a classy yet feminine, 1920s' finish, these invites are among those that are hung on pin boards and used in memory scrapbooks. There's no better way to add to the appeal of a party than with an attractive, theme appropriate invite, so go ahead, download and print!